The Division of Government, Community & Cultural Affairs is proud to announce the launch of The City College Center for the Arts (CCCA). The Center will serve as a cultural hub that builds a sense of community both within the school and its surrounding neighborhood, while inspiring creativity and diversity. It will also provide a premier venue for local and national performers and for art patrons in the tri-state area. Aaron Davis Hall, now under the auspices of The City College Center for the Arts, is the focal point of this creative revitalization. It is currently undergoing a $2.5 million lobby and exterior renovation, and the New York City Council and CUNY have committed more than $10 million over the next five years for additional capital improvements. “The college is very passionate about its ownership of Aaron Davis Hall and the arts,” said Karen Witherspoon, City College Vice President of Government, Community & Cultural Affairs, who is providing leadership for the arts initiative. City College has assembled a “phenomenal and diverse” Board of Directors and Advisory Board with a deep-rooted commitment to the arts to provide governance and guidance,” she added. 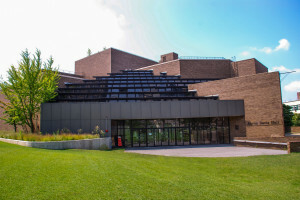 Aaron Davis Hall is the largest perfor ming arts center in Manhattan north of Lincoln Center. 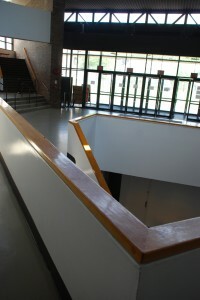 It features two theaters that seat 630 and 267, respectively, and a studio complex. The venue showcases performances that are multicultural in focus, including classical, jazz and Latin music, dance, theater, literary readings, film, performance art and art exhibitions. Aaron Davis Hall hosts an ambitious, year-round calendar of events, most of which are open to the public. The stunning architecture houses an innovative two-theatre performing arts complex that presents public performances and exhibitions by students as well as professional artists, and serves as the cultural hub of upper Manhattan and Harlem. ADH is the only cultural facility of its kind between Lincoln Center and uptown Manhattan and is used by groups like Carnegie Hall, Dance Theater of Harlem, Ballet Hispanico, Harlem School of the Arts, and so many other community based and nationally based organizations.